Kansas City, Missouri. Photo courtesy of Caleb Zahnd. Kansas City held its nonpartisan primary April 2. Emerging out of a crowded 11 candidate field, Kansas City City Council members Quinton Lucas and Jolie Justus will proceed and face off in the general election for Kansas City mayor. Justus was the front-runner heading into the primary and took the largest percentage of the vote with 23.1 percent, with the support of about 10,000 voters. Lucas took second place with 20.7 percent of the vote, with about 9,000 votes. The primary suffered from low voter turnout with only roughly 45,000 Kansas Citians making it to the polls. Justus previously served on the Missouri State Senate from 2007-2015 as a member of the Democratic Party – rising to the rank of minority floor leader. Justus has served since 2015 on the City Council. Before entering politics Justus earned a law degree from the University of Missouri-Kansas City. At the law firm of Shook, Hardy & Bacon, she is the director of pro bono services. Justus has the support and endorsement of the incumbent, term-limited mayor, Sly James. Lucas has served on Kansas City’s City Council since 2015. He grew up on the east side of Kansas City and earned his law degree from Cornell Law School. He currently teaches at the University of Kansas law school. As a city councilman, Lucas is notable for an ordinance he sponsored that aimed to cap tax incentives for developers except for in areas economically distressed as judged by the city. Lucas earned the endorsement of Freedom Inc. – a leading black political organization in the city. Lucas has touted his upbringing in Kansas City and his championing of affordable housing during his campaign. Justus focused on the considerable experience she would bring to the position emphasizing her time on the state Senate. The two candidates share key similarities on most matters of policy. They have voted in agreement on many issues during the four years they have served together on the City Council. Both candidates have previously noted their similarities but have emphasized leadership styles and perspectives as critical contrasts. Lucas highlights his perspective as a native Kansas Citian, while Justus emphasizes her pragmatic leadership and experience. The reputation and popularity of the outgoing Mayor James could play a significant role in the race. James’ endorsement of Justus, in addition to some of her comments, suggest that she will likely continue many of the policies of James and in much the same fashion. Lucas shares broad agreement with Justus on policy issues but has sought to downplay his own relationship with the incumbent mayor. Lucas has criticized some current City Hall policies, including city incentives for developers. In distancing himself from the mayor, Lucas may be considering Kansas City’s long tradition of backing outsider candidates for the position of mayor. James himself is a product of that tradition. In 2011, with no previous public service, James ran for mayor of Kansas City. Over the course of the primary and the general elections, he defeated the candidate endorsed by many of the previous mayors, Mike Burke. The tradition seems to have faltered in 2019. For the first time in two decades neither candidate will automatically have the mantle of outsider as both are currently serving on the City Council. The general election is expected to focus on issues such as equality, transportation and crime. The issue of inequality has gained special attention as continued efforts to revitalize downtown Kansas City have progressed with some success. Many residents are angered at housing prices, unaffordability and the benefits of Kansas City’s prosperity not being equally distributed across the city – an issue that both candidates have vowed to improve upon. Both candidates have made the economic development of Kansas City a cornerstone of their campaigns. Justus and Lucas have campaigned on similar policies to improve infrastructure and public transportation across the city. Lucas has also come out strongly in favor of tax incentive policies that favor small businesses and ensuring that more municipal projects go to small businesses rather than large corporations. 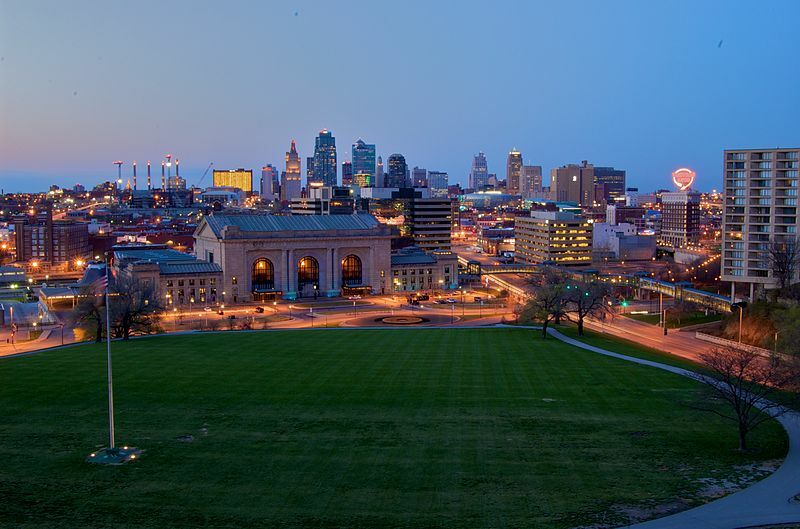 Justus has spoken about the need to end the “Border War” between Kansas City, Missouri, and Kansas City, Kansas, by working with Kansas officials and the need to work with leading innovators in the region to cultivate an environment more favorable to small businesses and entrepreneurs. The general election will be held June 18.